Each year we get a chance to drive the all-new or significantly revised pickup trucks that are sold in the United States. And we make sure to test each of those vehicles to find out which should be your top choice. First up is the Chevrolet Silverado 1500. The all-new frame and chassis deliver what is probably the strongest and most nimble Chevy pickup ever made, and now it comes with six different high-tech powertrain choices. With eight new and distinct trim packages, first-time and long-time pickup buyers will appreciate the redesigned interior and larger bed sizes. Next was the segment’s best-seller, the Ford F-150, but now offered with an all-new high-tech 3.0-liter V-6 turbodiesel and buttery smooth and versatile ten-speed transmission. The new diesel will be offered across all trim packages, from XL to Limited, and will deliver 440 pound-feet of torque with an EPA rating of 30 mpg on the highway. Our third competitor was the GMC Sierra 1500 which also offers a new frame and chassis and a set of six new powertrain choices, similar to its structural sibling the Silverado 1500, but the Sierra 1500 differs more than ever before with its new look inside and out. And our final nominee is the all-new Ram 1500, which we first saw at the Detroit Auto Show last year. The new Ram light-duty benefits from a stronger frame and chassis for better payload and towing numbers, as well a pair of new class-exclusive mild-hybrid powertrains—one V-6 and one V-8, but the major attention grabber for this truck is a luxurious new cab and interior layout that’s getting tons of attention for its 12-inch touchscreen and elegant design. And the winner is the Ram 1500. Not only is it a sweet riding pickup truck, but it also has one of the most luxurious interiors you’ll see anywhere in the auto industry. And for that reason we gave it our best pickup truck of 2019. 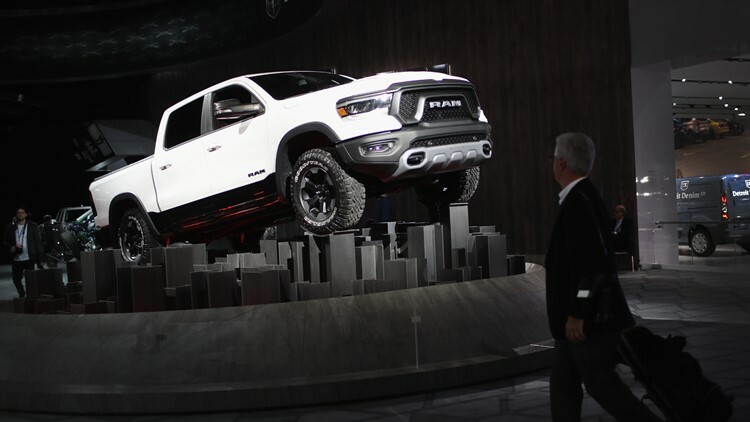 Fiat Chrysler Automobiles (FCA), introduces the 2019 Ram 1500 pickup truck at the North American International Auto Show on January 15, 2018 in Detroit, Michigan.